This sauce was great over salmon, and later over chicken! I love seafood, but recently I discovered that I’d developed a shellfish allergy. Therefore, there’s only certain seafood that I can actually eat. Thankfully, salmon is one of them. I love salmon. Usually I make it with hollandaise sauce over it and the last time I did, that went over well with everyone. 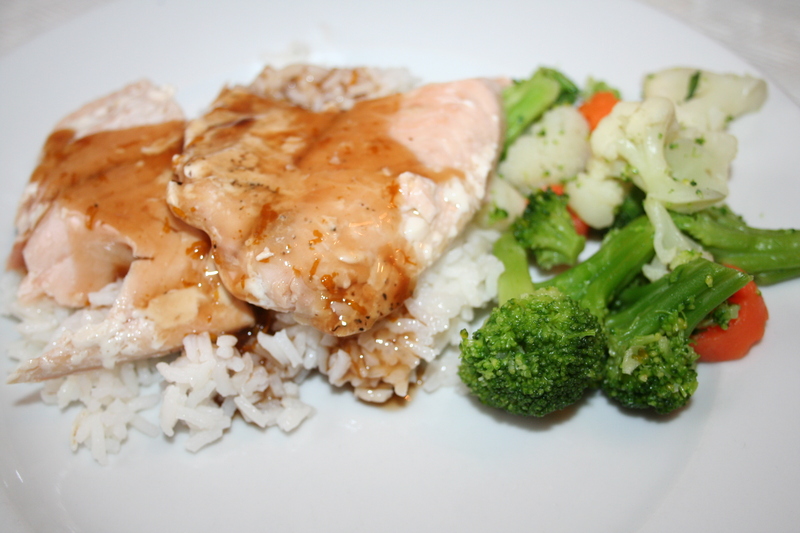 However, I’m always on the lookout for new ways to serve things so when the Allrecipe.com Daily Recipe came for Balsamic Glazed Salmon, I had to try it. I love balsamic vinegar. The recipe was easy and fast, and I served the sauce “on the side” so that if someone didn’t want sauce they didn’t have to have it. We had some sauce leftover and Don thought it’d be good on chicken so we saved it for another night. Sure enough, a few days later we served it on the side again, this time with some chicken breasts and it was just as good. Simple ingredients....and the chance to use my microplane zester! 8 three ounce fillets of salmon about 3/4″ thick (I used five fillets since there’s five of us). Grating one medium sized orange all the way around with the microplane zester was just enough for the amount of orange peel needed in the recipe. 1. 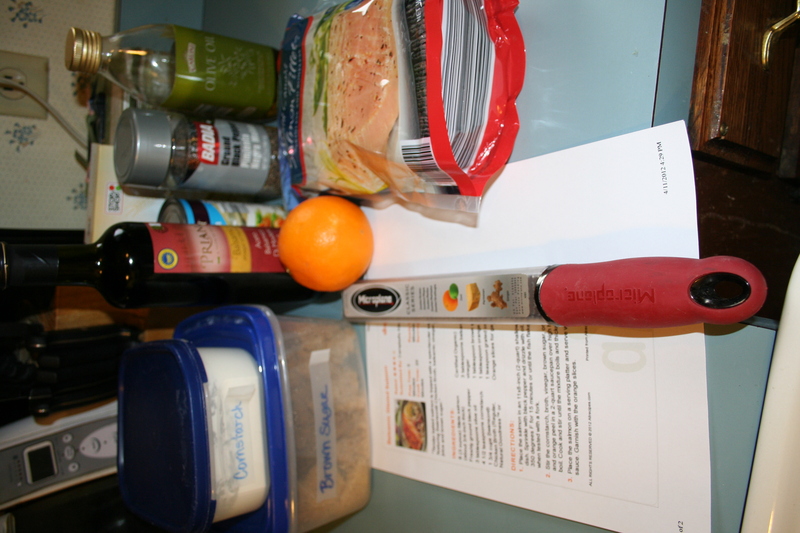 Place the salmon in an 11×8″ shallow baking dish. Sprinkle with black pepper and drizzle with oil. Bake at 350 degrees for 15 minutes or until fish flakes easily when tested with a fork. 2. Stir the cornstarch, broth, vinegar, brown sugar, orange juice and orange peel in a two quart sauce pan over high heat to a boil. Cook and stir until the mixture boils and thickens. 3. Place the salmon on a serving platter and serve with the sauce. Garnish with the orange slices.